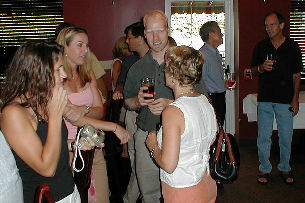 Tony BBQ 40th birthday party. 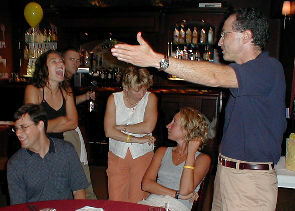 New age group. 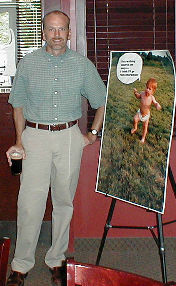 Tony BBQ enters new age group! 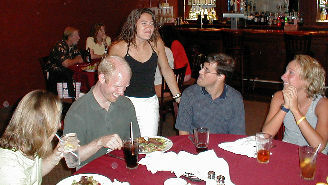 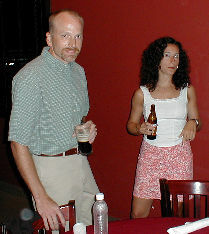 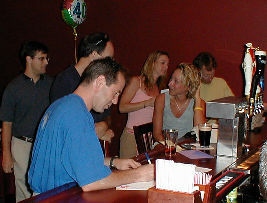 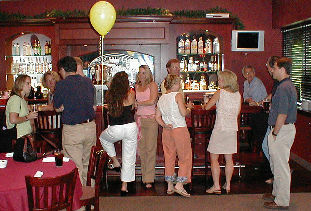 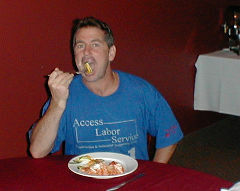 On July 6, 2005, we gathered to celebrate TonyBBQ's 40th birthday with a surprise party. 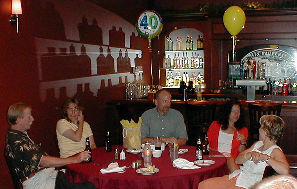 It was held at Six Paupers restaurant in Hockessin, where we had a private banquet room, complete with a bar. 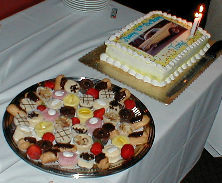 Barbara set it up nicely and the secret remained intact!